Dear Android users, ever wanted a way to share your photos to all sorts of social network from your phone in a beautiful way? No? Then this article is not for you. LOL ok kidding… but Snapr is a really good looking app to share photos like Instagram, minus the filters. Use our service to broadcast your favorite moments, track the places you visit, and record the things you see. We bring people’s shots together by place and time and make it easy to keep track of your family and friends. 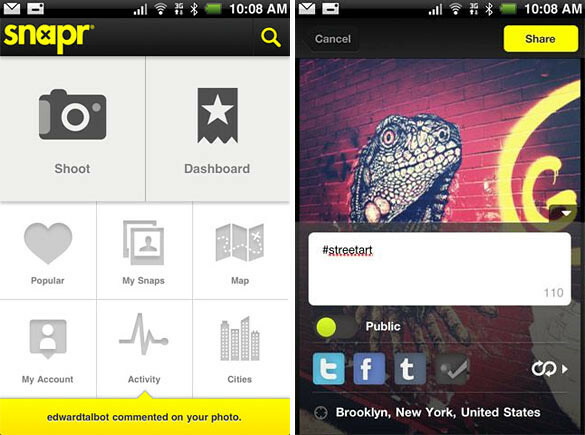 You can link your account to Facebook, Twitter, Tumblr and Foursquare and use Snapr as a social hub for sharing. 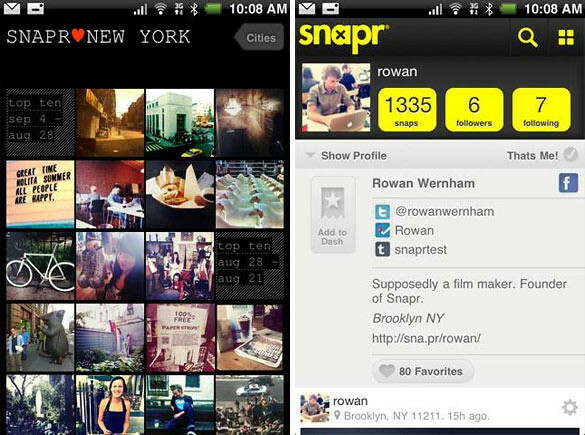 Snapr allows us to share photos to the Snapr platform and also Facebook, Twitter, Tumblr and Foursquare. The app has a few difference views to explore shared photos. Timeline, Map and City. Did I mention that this app is similar to Instagram? That’s cos Snapr has it’s own community as well. With the photos in Snapr, you can like and comment. You can follow other users and be followed, gathering friends and people to share with as you go along. It doesn’t stop there either. With the Likes system, photos are sorted into the most popular by Day, Week and All Time. Get Snapr for your Android device today! One Response to "Share Your Photos Like A Bawse, With Snapr For Android"